Remember the good old days when you went to the local milk bar to meet up with friends? 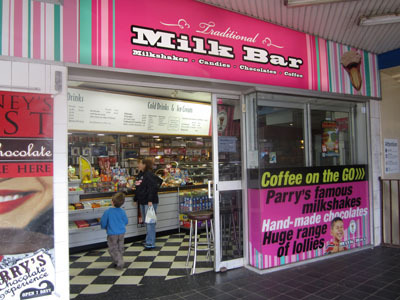 Well, that tradition is what owner Tim Downs has kept going with legendary Parry's Milk Bar in Caringbah. It's candy striped pink and vibrant, with black and white diamond flooring creating a very retro decor straight out of the 1950's, you can't miss it. The vibrant retro design and pink stripes, you just know it is a Milk Bar. Parry's first opened in 1958, right at the top of the stairs at Caringbah's railway station. 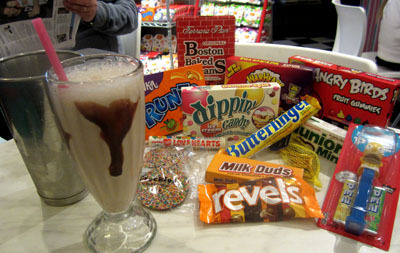 Originally serving those great milkshakes, sodas, ice cream sundaes, lollies and chocolates for those special treats. It has been a meeting place for young and old over the decades. 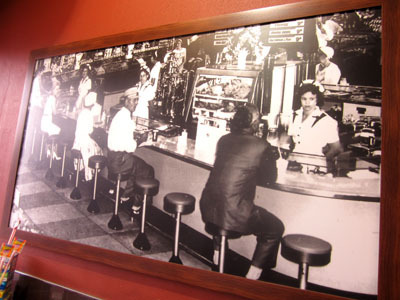 This wonderful old photo of Parry's in the 1950's still hangs in the milk bar. 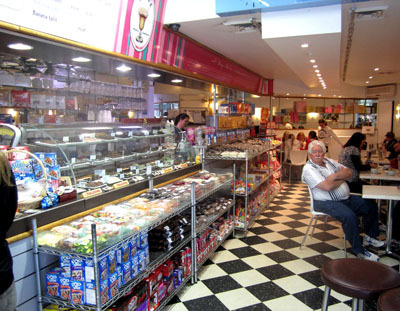 Time has moved along with some changes, introducing coffees and imported sweets. Yet you can still get those smooth creamy milkshakes of yesteryear. Still made in the aluminium containers and still poured into the thick vase shaped glasses we remember way back when. Re-creating those flavours with a special ice cream and an extra touch of flavouring coating the inside of the glass, you sip away reminiscing, all that is missing is the paper straw. Sipping away on my milkshake, I reminisced my childhood over some of my favourite lollies. Hands up who had a 'Pez'? it is still available, decades later! Due to our current 'health regulations' we can't buy lollies like we used to, in small cardboard boxes where the shop assistant would pick out one by one. If allowed, I'm sure Tim would have them. 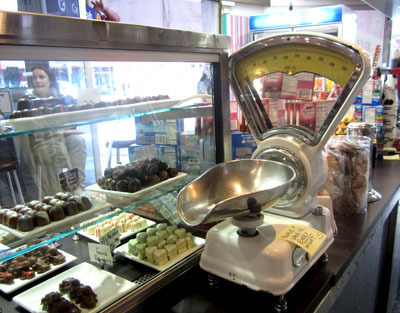 There are a few sweets you can buy loose, Coconut Ice and Fudge, displayed in old glass domes that used to sit on old milk bar counters. Old Fashioned glass domes display old fashioned lollies. No electronics here to weight the chocolates. 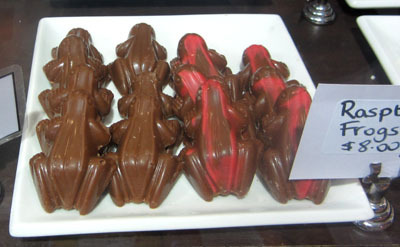 Remember chocolate frogs, freckles and Love Heart's? Now they are mixed with some great U.S.A. candies, Junior Mints, Boston Baked Beans and Butterfingers. There are Nestle's Walnut Whips which are popular in England. Inside the retro decor shop, ohhh you can go crazy. 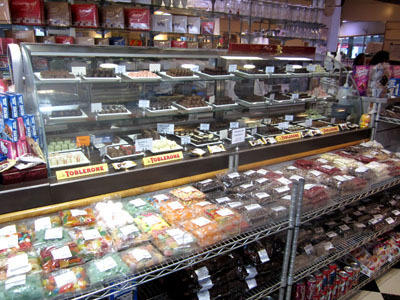 There is a great display of single chocolates you can buy, or loads of pre boxed chockies that line the walls. Oh, they also have one of Sydney's largest Easter Egg display. 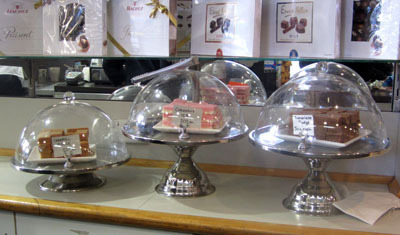 Selected from local chocolatiers who still use old fashioned metal moulds. The shells are thicker than the high turnover eggs you see everywhere. Make that special trip and reminisce over a great milkshake. Why? Take your kids to a place way back when. Where: 347 Kingsway Caringbah. At the top o the railway station stairs. How old are you, Lexa? I'm in my mid-50's and can't remember meeting friends at a milk bar, although I did have a mate whose family ran the Gardenia Milk Bar in Artarmon. I think hanging out at the milk bar was a '50s and 60's thing. We had the bowling alley and the pool room. I've been meaning to make the journey to this place for a long time as I love old milk bars. It doesn't look as true retro as Bells Milk Bar in Broken Hill or as creepy as the Olympia in Stanmore but sounds great anyway. Though, $8 for a frog? How big are they? They cost 1c each when I was a kid. And with milk prices dropping at Coles and Woollies how come milkshakes have become a luxury item? I see $4.20 here. I've seen them over $6 elsewhere. They contain about 90c worth of ingredients. And I still remember when they cost 19c at my local. Guess I'm getting on a bit. I was a kid the last time I went to Parry's in Caringbah (about 40 yrs ago). What I remember most at Easter my Dad used to go in and buy a box of all their broken chocolate eggs. They also used to take all my coins (ones and two's) I had saved for the Easter Show and give me notes. I loved their milkshakes as well. So glad they're still there, I will have to go back with my kids one day.